Our menu navigation has changed. Click here to review the changes. There was a problem loading the requested Docket Sheet, please retry your search for 'CP-40-MD-0001682-2018' using the below link. The Unified Judicial System and its related personnel make no representation as to the accuracy, completeness or utility, and assume no liability for any general or specific use of the information provided herein. Recent entries made in the court offices may not be immediately reflected on this site. Periodically, secure login accounts will be deactivated due to a lack of use for a minimum period of six months. To re-activate a secure account, a new login request form signed by the appropriate county official must be submitted. 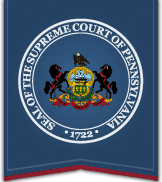 © Copyright 2005 - 2019 Administrative Office of Pennsylvania Courts. All Rights Reserved.